‘Charity’ was selected by crime genre guru Maxim Jakubowski for his 2014 recommended reads, and was short-listed by Wordery for their Best Independent Books of 2014. Both books are available at Amazon in ebook / paperback: you can also order them from your local bookshop or library. 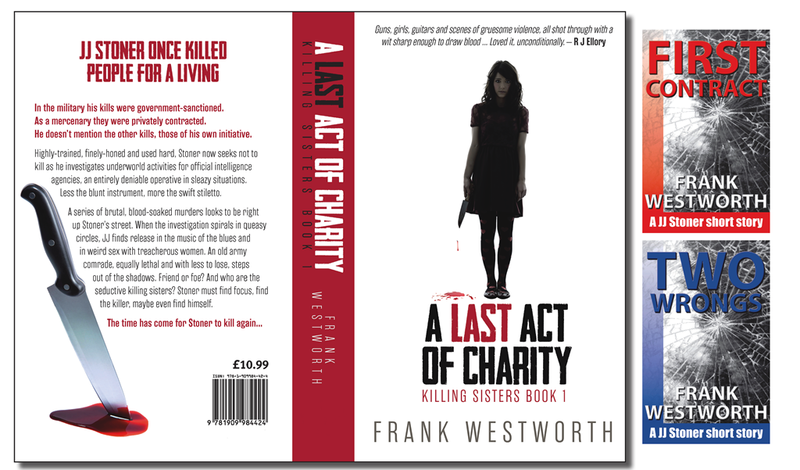 ‘Charity’ is the first novel in the ‘Killing Sisters’ series, and is available in paperback and ebook formats, from all the usual booksellers. Buy it now at Amazon or order it from your local bookshop or library. You can meet key characters from the Killing Sisters series in the series of JJ Stoner short stories. These begin with First Contract, available at Amazon. A decade ago, JJ Stoner was a soldier. He killed people for a living and made no bones about it. On a scorching day in the Iraqi desert, when British blood stained the sand, he over-stepped the mark. Men died in compromising circumstances: too many men for an easy explanation. 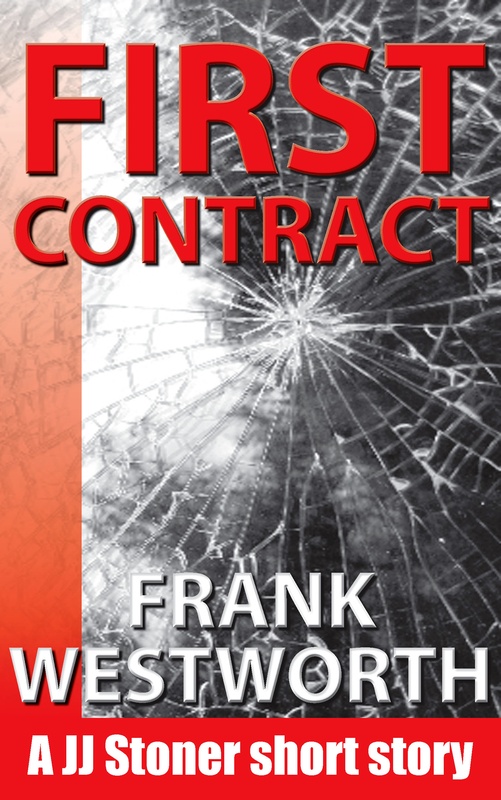 ‘First Contract’ is available from Amazon for Kindle readers. It’s a complete, stand-alone short story with its own plot and resolution, intended to provide a couple of hours of entertainment and introduce readers to JJ Stoner’s murderous world. The JJ Stoner short stories continue with ‘Two Wrongs’, ‘Third Person’ and ‘Four Cornered’, all available at Amazon. The second full-length novel in the Killing Sisters series, ‘The Corruption Of Chastity’, is available to order at Amazon now. Thanks to David Moss Photography for the image on the ‘first stab’ cover.